Spend the 22nd (Wed) among the memorable landscape of Glacier Grey. There's still lots to do: explore the fascinating underground world of Cueva del Milodon, take in the exciting artwork at La Tehuelche, explore the striking landscape at Channel of Last Hope (Ultima Esperanza), and trek along Mirador Cerro Dorotea. Hamburg, Germany to Puerto Natales (Torres del Paine) is an approximately 31-hour flight. Traveling from Hamburg to Puerto Natales (Torres del Paine), you'll gain 5 hours due to the time zone difference. 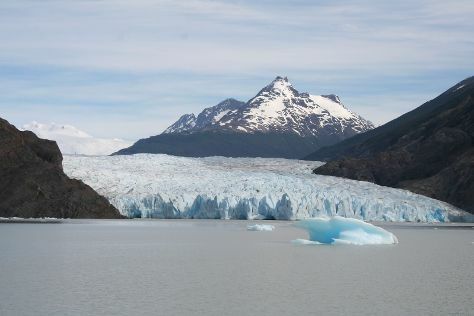 In November, Puerto Natales (Torres del Paine) is somewhat warmer than Hamburg - with highs of 15°C and lows of 9°C. Finish your sightseeing early on the 26th (Sun) so you can travel to Punta Arenas. Kids will enjoy Seno Otoway Penguin Colony and Reserva nacional Magallanes. Spend the 29th (Wed) exploring nature at Monumento Natural Los Pinguinos. Spend the 1st (Fri) exploring nature at Parque Nacional Pali Aike. There's much more to do: explore the different monuments and memorials at Cementerio Municipal, examine the collection at Nao Victoria Museo, take an in-depth tour of Museo Regional De Magallanes, and tour the pleasant surroundings at Parque del Estrecho de Magallanes. Traveling by combination of flight and taxi from Puerto Natales (Torres del Paine) to Punta Arenas takes 1.5 hours. Alternatively, you can take a bus; or drive. Traveling from Puerto Natales (Torres del Paine) in November, plan for a bit cooler nights in Punta Arenas, with lows around 5°C. 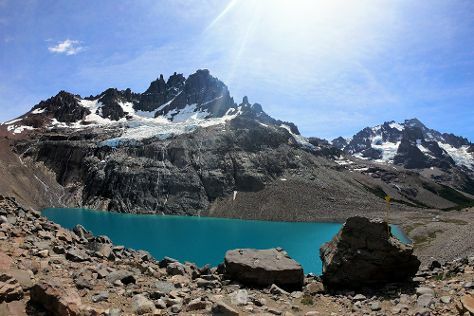 On the 3rd (Sun), wrap the sightseeing up by early afternoon so you can travel to Chile Chico. Perched on the gusty shores of a lake separating Chile from Argentina, the small town of Chile Chico makes a great base to explore the surrounding nature. Chile Chico is known for nature. Your plan includes some of its best attractions: take some stellar pictures from Plaza del Viento Cerro Las banderas, contemplate the waterfront views at Jeinimeni Lake, and enjoy breathtaking views from Plaza del Viento. Use the Route module to find suitable travel options from Punta Arenas to Chile Chico. When traveling from Punta Arenas in December, plan for somewhat warmer days in Chile Chico, with highs around 24°C, while nights are about the same with lows around 9°C. On the 7th (Thu), you'll travel to Puerto Rio Tranquilo. Puerto Rio Tranquilo is known for nature and outdoors. 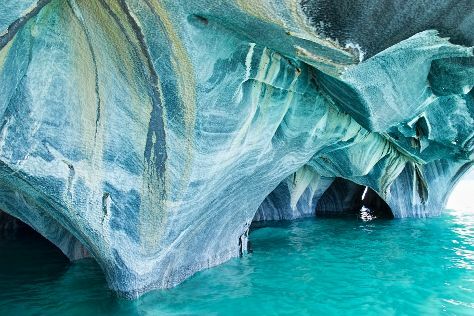 Your plan includes some of its best attractions: explore the striking landscape at Catedral de Marmol and head outdoors with Glaciar Exploradores. You can drive from Chile Chico to Puerto Rio Tranquilo in 4.5 hours. In December, daytime highs in Puerto Rio Tranquilo are 21°C, while nighttime lows are 9°C. You'll set off for Coyhaique on the 11th (Mon). You'll visit kid-friendly attractions like Reserva Nacional Cerro Castillo and Coyhaique National Reserve. Spend the 16th (Sat) exploring nature at Ecoexploradores Patagonia. Next up on the itinerary: experience the excitement of Carretera Austral, pause for some photo ops at Monumento al Ovejero, contemplate the waterfront views at Ruta Seis Lagunas Coyhaique, and try your luck at Casino Dreams Coyhaique. Getting from Puerto Rio Tranquilo to Coyhaique by car takes about 5.5 hours. Expect a daytime high around 21°C in December, and nighttime lows around 10°C. You will leave for home on the 17th (Sun).